The 7th Guest on CD-i was plagued by some design differences between all CD-i players that came along 1993-1994-1995. It appeared the game ran fine on the first generation of CD-i players, but showed some hang-ups on newer players. As the game was converted by a true Philips studio, the company was forced to release an update. But as CD-i in general wasn't able to allow software patches, the whole disc had to be re-pressed. That's what they did in 1995: While the original Philips Studio was already closed down the leftovers in Redhill (UK) published an update and sent out new copies of the game. To make a difference from the original Philips released the newer version in a Video CD jewelcase instead of the official CD-i logo jewelcase. Like this. 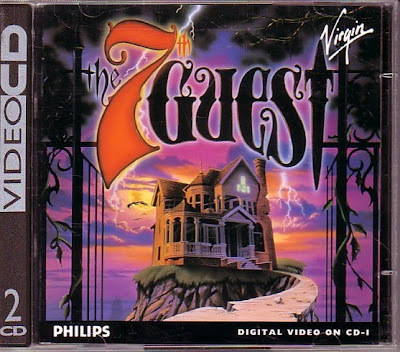 Hunt it down if you have trouble playing The 7th Guest on your CD-i player.